Battlefield 1 is one of the many titles that will be shown during Gamescom this week, but if you’re among those who cannot attend the event and try out the game, you will get a chance to do so in a few weeks thanks to the multiplayer Open Beta. Today, EA and DICE have confirmed that the Battlefield 1 Open Beta will begin on August 31st on all formats. Battlefield Insider members will be getting early access, which will be available for sign-ups made by August 21st. The Battlefield 1 Open Beta will include the Sinai Desert map as well as two play modes, fan favorite Conquest and Rush, a 24-player mode. On a related note, a new Battlefield 1 trailer has also been made available today, and you can check it out right below. 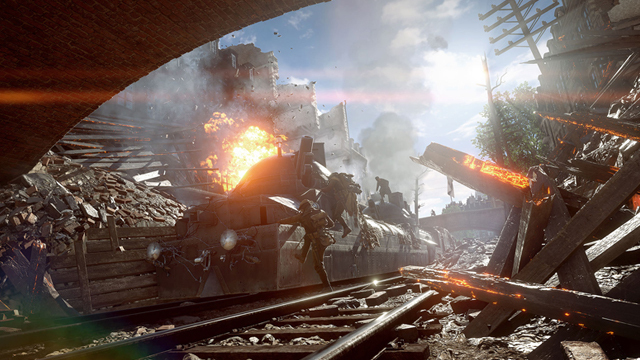 Battlefield 1 launches this October in all regions on PC, PlayStation 4 and Xbox One.